Chicago, IL: Unifyed, a global leader in student engagement and digital transformation provider for higher education, announced today the appointment of Ranjan Tayal as CEO. Ranjan will assume direct responsibility for overall sales, marketing, product development, customer success, professional services and day-to-day operations. He will directly report into the Board of Directors and will have executive control over all business strategies and day-to-day operations. 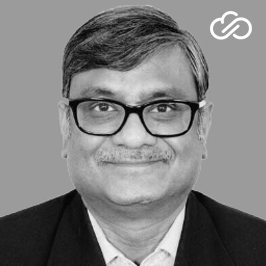 Ranjan brings over 29 years of senior executive experience in leading business operations, product strategy, relationship management, and P&L management. Prior to joining Unifyed, Ranjan was the Chief Operating Officer at Ramco Systems, a leading AI, ML and voice-ready ERP solutions provider with focus on human capital management, global payroll, logistics, and aviation. Additionally, he held several leadership roles at Capgemini and Ericsson, where he led large deals internationally. His expertise and experience in diverse IT business operations, product development is the reason Unifyed asked him to lead and take the company’s mission of delivering on student promises by providing modern technology solutions to the next level. Ranjan, an alumnus of IIT Delhi, exhibits a deep understanding of global IT services and in managing large product development engagements. He believes that delivering on modern student needs with technology-driven solutions can help Unifyed serve the customers at its best while achieving its strategic goals alongside. “The Board appointed Ranjan to lead Unifyed because his vision aligns with the overall mission of the company. He brings in-depth industry knowledge and impeccable attention to details. I believe, under his leadership, Unifyed will make a signification difference in the higher ed space and serve our customers with better and innovative products”, said Anjli Jain, Chairman of Unifyed. “What really excites me about Unifyed is – it is a tech-driven company with bold ambitions to create a massive impact in the higher education community. Already, the company is creating waves with its modern, next-gen products, which are transformative yet affordable. I am happy to be a part of Unifyed and its energetic team in helping institutions worldwide,”, said Ranjan Tayal, CEO, Unifyed.